So Many Fun Ways to use QR Codes in the Classroom! I’ve culled a bunch of ideas from different teachers who have shared their approaches to using this simple but powerful construct in the classroom. Once your students are equipped with a device that can read QR codes and they know how to scan them, you’re ready to use ideas like these in your classroom! If you’re not already familiar with it, scroll down to the bottom of the article to learn how to easily create QR codes, and find QR Code readers. Cite Sources: Have students use QR to link out to sources they use for research for paper writing, etc. These ideas come from the web page QR Codes – What are they and how can I use them in my classroom? by Greg O’Connor. Assistive Technology: “Provide an alternative access format for students who need additional support in reading and writing.” Students can quickly access information while using their own literacy support apps or software. These idea were published by Diana Rees in QR Codes: Augmenting Augmented Reality. Link handouts to resources: Turn a handout into a “dynamic, interactive resources by linking them to interactive update-able websites”. I found these sources on this Pinterest page from Elizabeth Mills. These are geared towards younger elementary grade students. Easy Audiobook Access: This web page discusses 75 Story Time Read Aloud Picture Books with QR Codes Cards, an app that could be purchased and placed on a shared iPad, enabling students to scan a QR code and then listen as popular children’s books are read aloud! Award Prizes! Use a QR code to award a prize for good work or good behavior! The code can simply link to web page or image that informs them what their reward is (a new pencil o marker, a cool eraser, etc.). Next we have a set of ideas from Edutopia, via Andrew Miller. Go Green! Rather than giving students the time-worn paper handout, provide a QR code that accesses instructions, announcements, or assignments. Use one page of QR codes to displace multiple handouts, or use codes on-screen to eliminate paper entirely! Creating QR codes is super easy when you have a web tool that works well for it. The hardest part is really having appropriate content to access. The idea of the QR code is that it is a simple a way to access a URL (i.e. a web address). 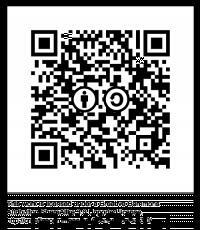 A QR code is an image file (it can be a png, jpg, etc.) that when scanned by a QR Code reader will access the URL it links to, which typically means it will open a web page. Once you have found content you want to share, or created content and made it available online, you just use a site like “QRstuff” to create a QR code that works for the URL you created. Open QRstuff, paste in a URL (under “2 Content”) and the site provides a QR code image (on the right side of the screen, under “QR Code Preview”) that you download, save, and use however you want. As for QR Code Readers, they are typically free. This site offers good ones for popular Operating Systems. So go for it – create your first code, just to familiarize your self with the process, then scan the dozens of ideas above and come up with some creative approaches to use these in your classroom!